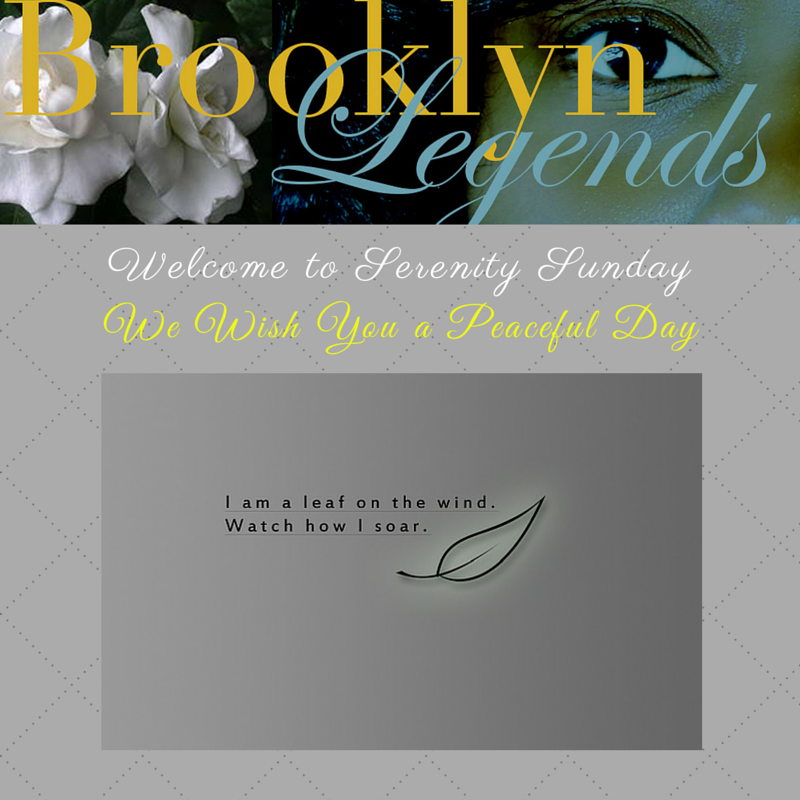 Welcome to Brooklyn Legends Serenity Sunday and the Week In Review. I hope last week lived up to, or exceeded, your highest expectations. I was able to connect with a few friends who are well into their fall work agendas. Indeed being happily employed is always a reason for celebration, but there was a common observation throughout our conversations – time is passing so quickly and our to-do lists are growing exponentially. I truly hope this is temporary as I look forward to my moments of peace and serenity so that I can renew my mind and spirit. If you live on the East Coast, the weather is simply glorious and the fall foliage is breathtaking. I hope you will find time to enjoy the scenery before winter arrives. For ideas on places to see and activities with your family, I encourage you to visit Time Out New York’s website. You will find a treasure trove of information carefully curated by their editorial team. Here are photos of places in New York City where you can enjoy fall’s scenic beauty. Last Sunday thousands of beautiful ladies gathered in Prospect Park for this year’s Making Strides Breast Cancer Awareness Walk. I was so proud of my Brooklyn Metropolis Lions Club members who supported this worthy cause. Regrettably I was not up to the Walk, but I plan to be there next year. However, the weekend was not totally lost. I participated in a timely discussion about the challenges women face on their journey with Breast and Ovarian Cancer. Our intimate group of 12, also known as the “Brooklyn Metropolis Circle of Sisters” allowed for a candid exchange of information. 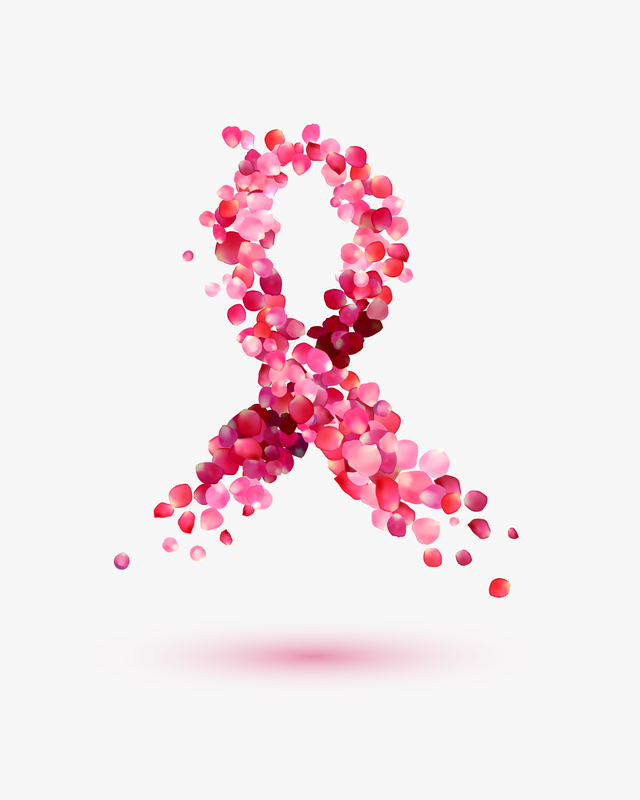 In this safe space we discussed the importance of: early detection, a caring team of healthcare professionals, a firm grasp of treatment options and committed supporters who celebrate your victories and encourage you when challenges arise. The conversation was led by an amazing woman who has overcome Breast Cancer twice in her life. She provided a wealth of information and our discussion lasted well after the meeting ended. I would love to share her story with you in the coming months. 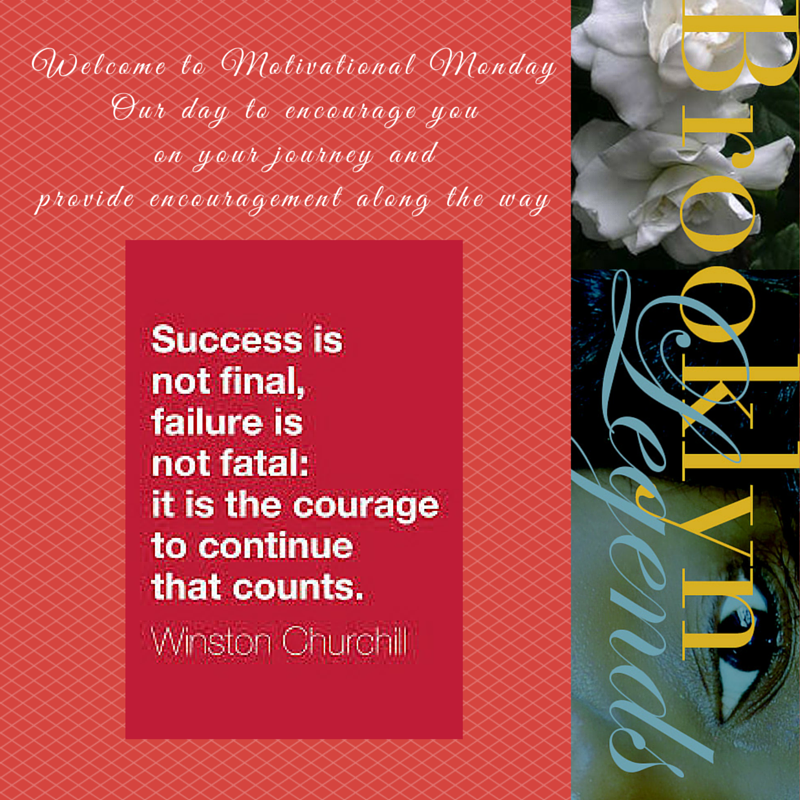 Last week’s Brooklyn Legends Motivational Monday Facebook posts were a reminder for me to persevere. We started the day with inspirational quotes to encourage our readers and ended with a video featuring Paulo Coelho with Oprah Winfrey on How the Universe Conspires to Help Us as we pursue our dreams. You can view it on the Brooklyn Legends Facebook page, simply by following this link. On Brooklyn Legends Tenacious Tuesday we celebrated the phenomenal women featured in Timothy Greenfield-Sanders’ PBS film, American Masters: The Women’s List which aired last month. Greenfield-Sanders invited the world to “meet some amazing women who have created and defined contemporary American culture.” These trailblazers are: former Secretary of State Madeline Albright, attorney Gloria Alfred, entrepreneur Sara Blakely, comedian Margaret Cho, actress Edie Falco, scientist and entrepreneur Elizabeth Holmes, fashion designer Betsey Johnson, singer-songwriter Alicia Keys, athlete and fashion model Aimee Mullins, politician Nancy Pelosi, actress Rosie Perez, writer and producer Shonda Rhimes, talk show host Wendy Williams and pilot Nia Wordlaw. We have included the trailer from the film below. To view last week’s Brooklyn Legends blog post, please click here. We celebrated Brooklyn Legends Working It Wednesday, with help from the fashion editors at Glamour.com. 2015 must be the year for accessories for every new concept is so interesting and fresh. Here are three really cool accessories we feel will make your wardrobe pop. For more ideas, remember to visit the Glamour website. On Brooklyn Legends Thankful Thursday, we embraced gratitude and expressed our thanks to you – our readers and fans – for supporting our work. 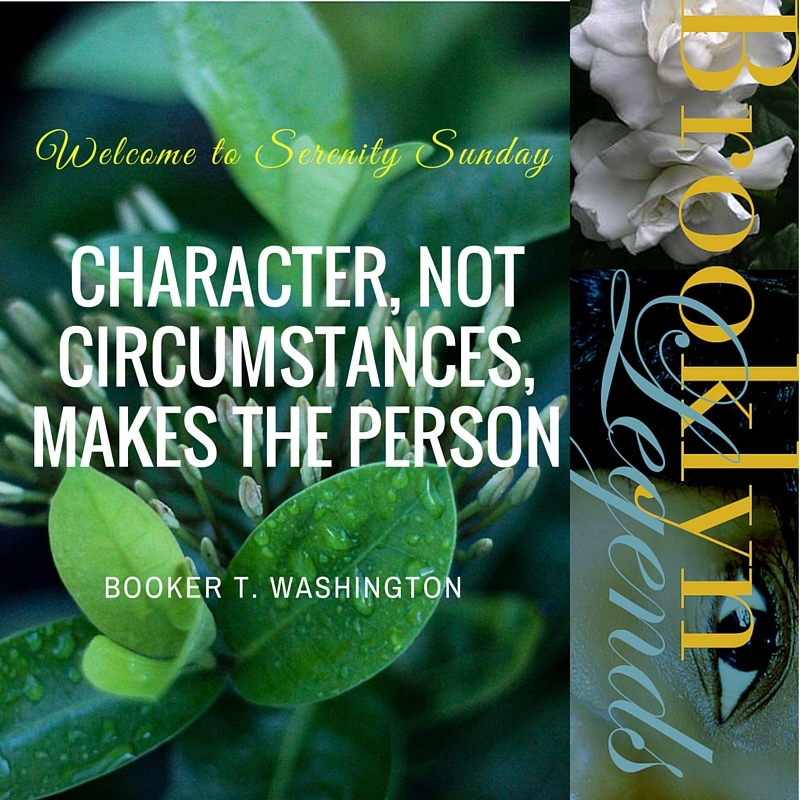 Your encouragement is very important and we are grateful for your feedback here on the Brooklyn Legends blog, the Brooklyn Legends Facebook page and Brooklyn Legends on Pinterest. Here is the link to our Facebook page once again for your reference. To visit Brooklyn Legends on Pinterest, simply click on the icon below. Thankful Thursday ended on a fun note when I also shared 3 things that made me smile. Everyone who knows me will tell you that I love flowers. For me they are one of the easiest ways to brighten your day and your environment. Here are some magical designs by Preston Bailey to spark your creativity. Friday and Saturday were low-key days for me but I yesterday I shared one item I found to be simply sensational – a New York Times recipe for Peaches in Muscat. I am working on my “list of things that make me smile” and the very idea of this got my attention. I did not get around to this today, but I will certainly let you know how it turns out. 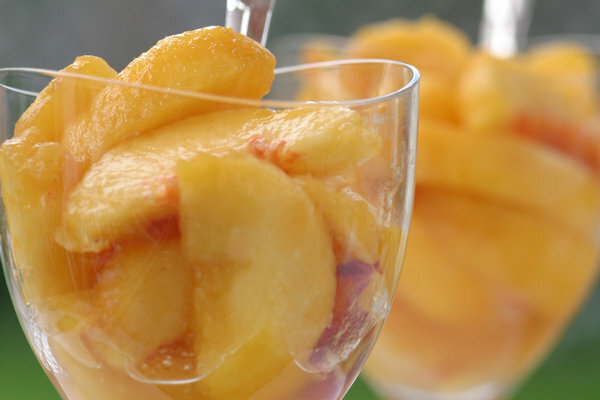 Peaches in Muscat – Enjoy! As always, thank you for allowing us to share your Serenity Sunday. Have a wonderful day and a great week. 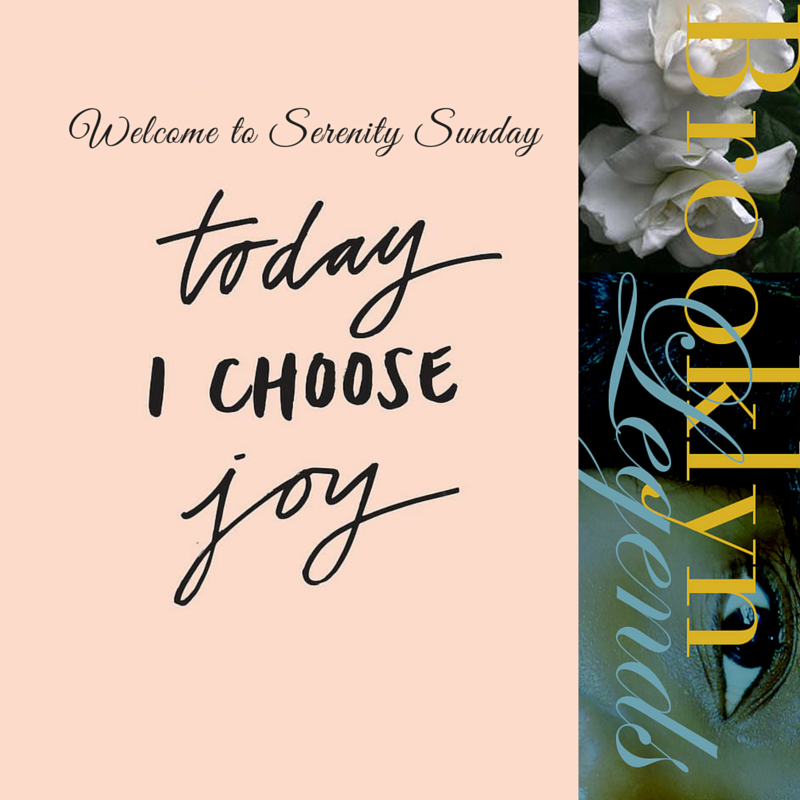 Welcome to Brooklyn Legends Serenity Sunday, our day to encourage you on your journey to finding joy and peace. Recently I have found myself wanting more of each in my life. For fortification I turned to one of my favorite authors Dr. Brene Brown who is a Professor at the University of Houston Graduate College of Social Work. Dr. Brown has spent the past 13 years studying vulnerability, courage, worthiness and shame. She is the author of two #1 New York Times Bestsellers: Daring Greatly and The Gifts of Imperfection. For today’s post, I would like to share a brief video of Dr. Brown on the subject of joy which she describes as “an emotion that delights and frightens us at the same time because we are terrified that it can be taken away.” So how do we find it and keep it? Let’s hear from Dr. Brown in her own words. 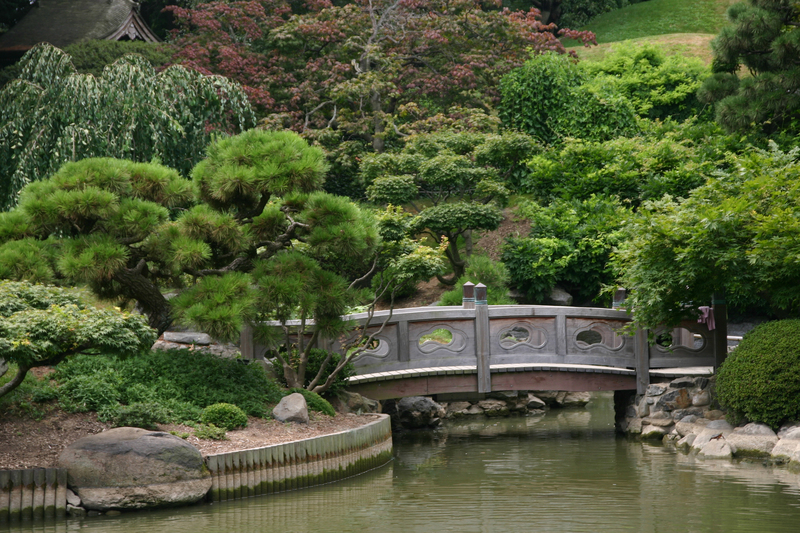 Thank you for sharing Serenity Sunday with us. As a child I often felt as if time moved much too slowly. In my mind, a day lasted for a week, a week lasted a month and a month lasted FOREVER. Now that I am an adult, the days seem to whiz by as I obsess over the remaining items on my to-do list. 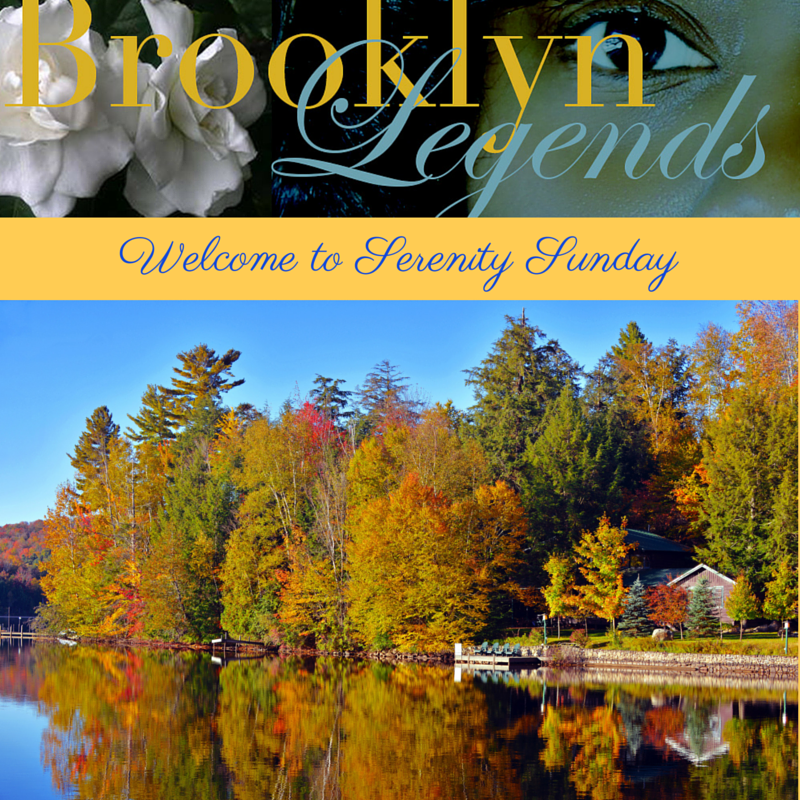 Each Saturday when I review my accomplishments and make plans for the week ahead, I look forward to Sunday as it provides me with another opportunity to welcome you to Brooklyn Legends Serenity Sunday and share our Week in Review. Last week was filled with historic firsts. Viola Davis won the Emmy for Outstanding Lead Actress In A Drama Series and Pope Francis made his first trip to America for an unprecedented three-day visit to Washington, DC, New York City and Philadelphia, PA.
As we celebrate Serenity Sunday, Brooklyn Legends is proud to join the world in honoring Pope Francis and we salute his vision for the future. Please be assured that we will pay tribute to Ms. Davis’ historic achievement in a future post. We have created a collage on our Pinterest board appropriately titled “Character, not circumstances, makes the person” in Pope Francis’ honor. We hope these photos, and Booker T. Washington’s powerful quote, will encourage you as you go about your day. Everywhere I went, people were excited and looked forward to the festivities. I never felt this enthusiasm was misplaced worship or adoration but a wonderful reminder to me of the compassion and respect that our mothers, grandmothers, aunties, other relatives and friends consistently give to the needy. Within my circle, this generosity is driven by many things, including an innate ability to empathize with the challenges of people they do not know and a willingness to meet them at their point of need. Watching Pope Francis graciously spend time with those who stood for hours to greet him, despite their own unique challenges, and his visit with inmates in prison, amplified the generosity of spirit that I have seen in my circle finally come to life in a big way. Thank you for allowing us to share your Serenity Sunday. We hope that you have a peaceful week.